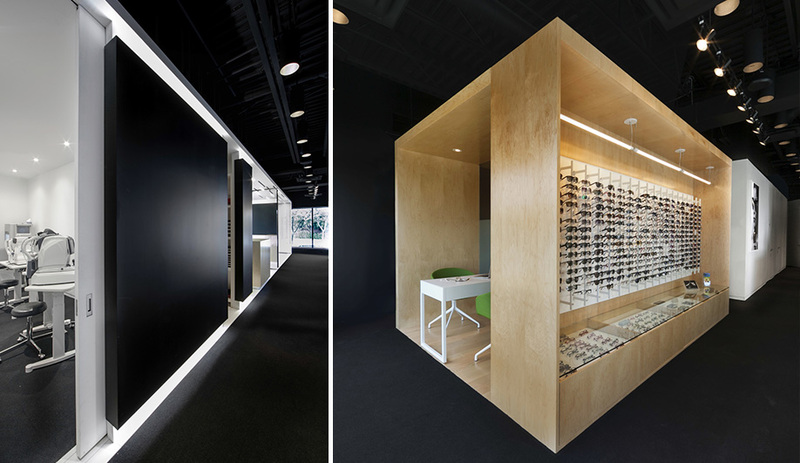 Montreal firm la SHED rebrands an optometrist shop in Quebec with a monochromatic space for showing off over 1,500 designer frames. 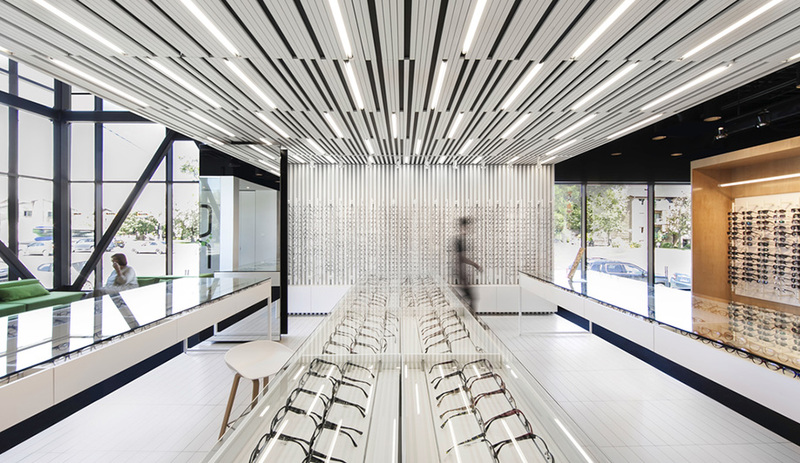 In a suburban neighbourhood in Laval, Quebec, a new optical shop, L’Aire Visuelle, has reinvented itself with a store that brings contemporary style to an otherwise unremarkable medical office building. 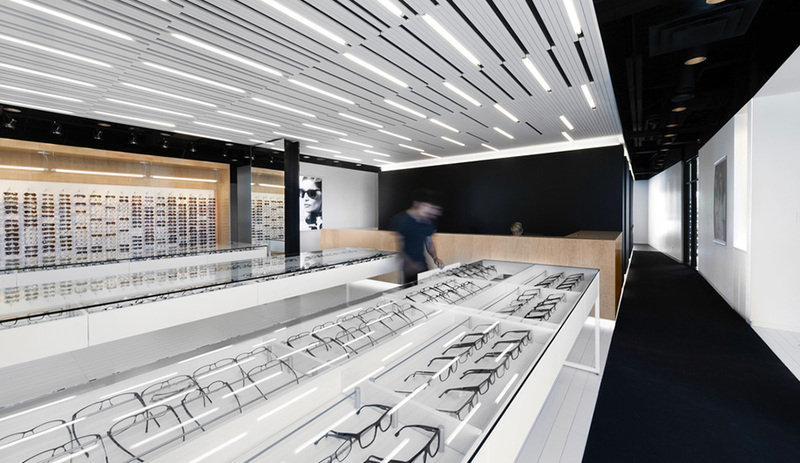 Designed by la SHED, the 300-square-metre interior contains examination rooms for three optometrists, a laboratory for lens grinding, a waiting area with invitingly soft sofas, and a spacious shop for displaying thousands of designer frames. 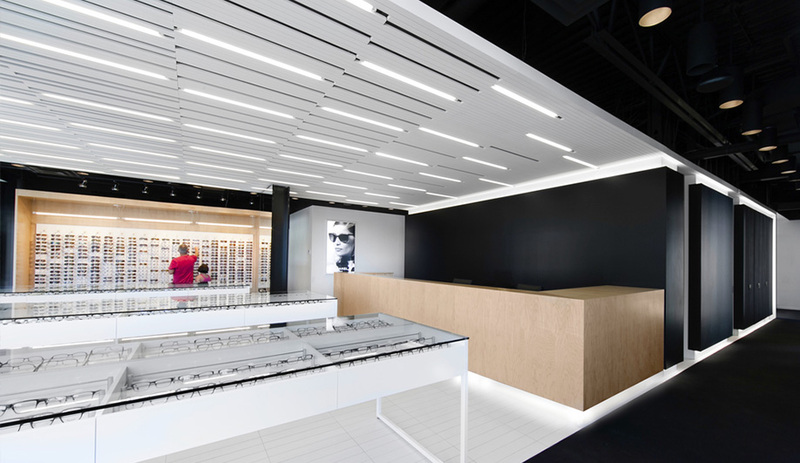 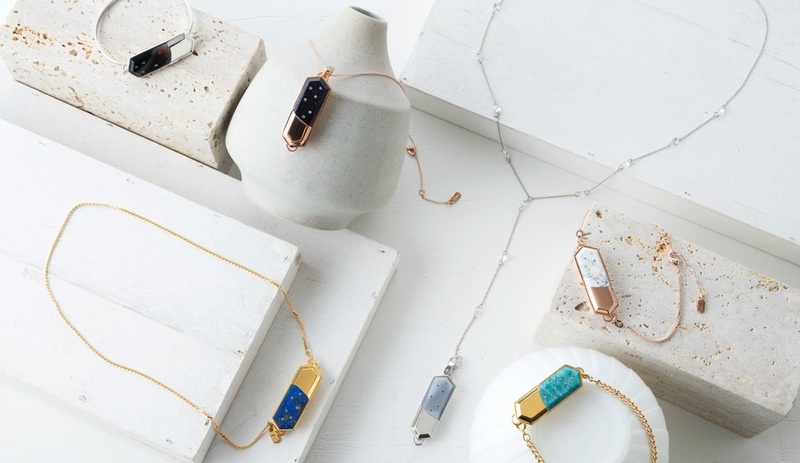 “The clients wanted to rebrand their store, which has been around for over 26 years,” says Yannick Laurin, one of three principals behind the Montreal architecture firm. 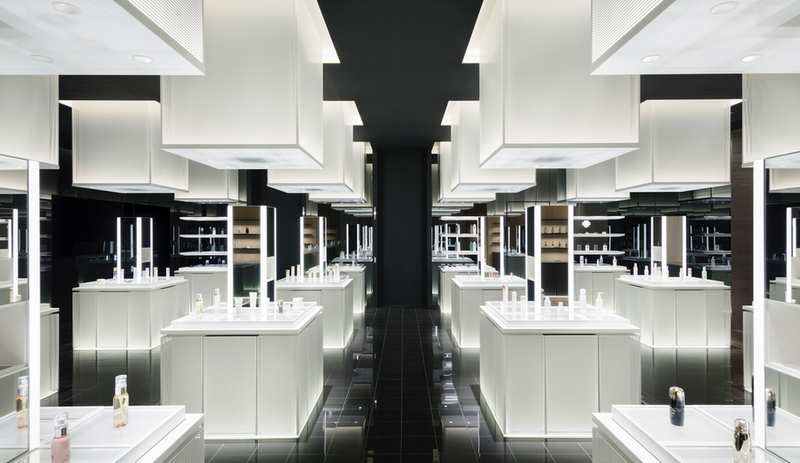 For the rebranding, the owners took over a ground level unit with three glass walls facing the street. 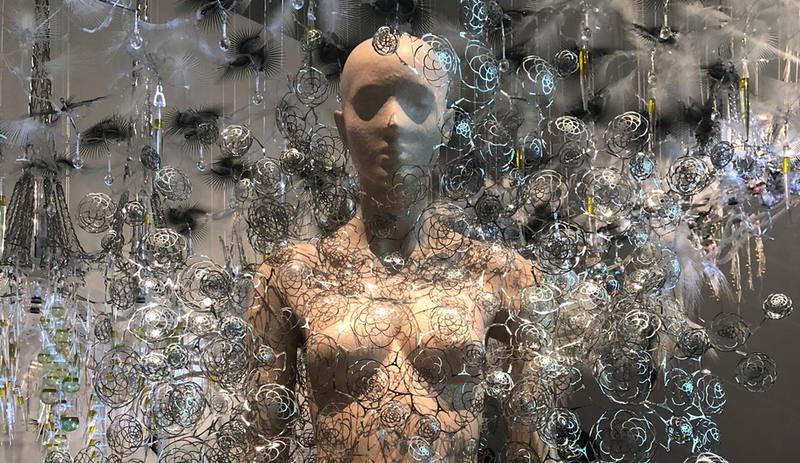 And they asked la SHED to create an enjoyable shopping environment where clients would feel comfortable waiting for appointments and services. 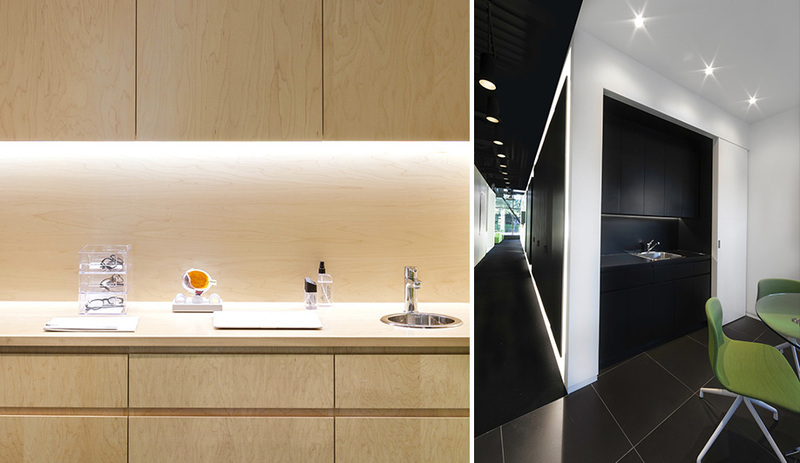 La SHED responded with a monochromatic interior defined by a dramatic ceiling made from random slices of wood interspersed with T5 fluorescent bulbs. 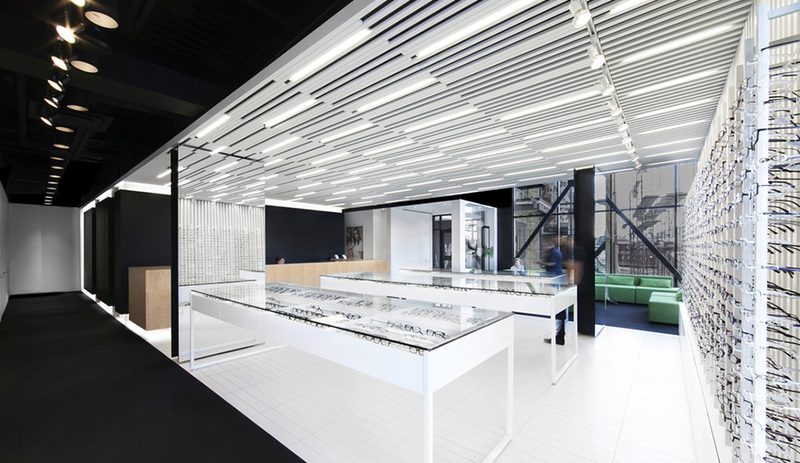 The white slatting carries down one wall to create a shelving unit that displays frames. 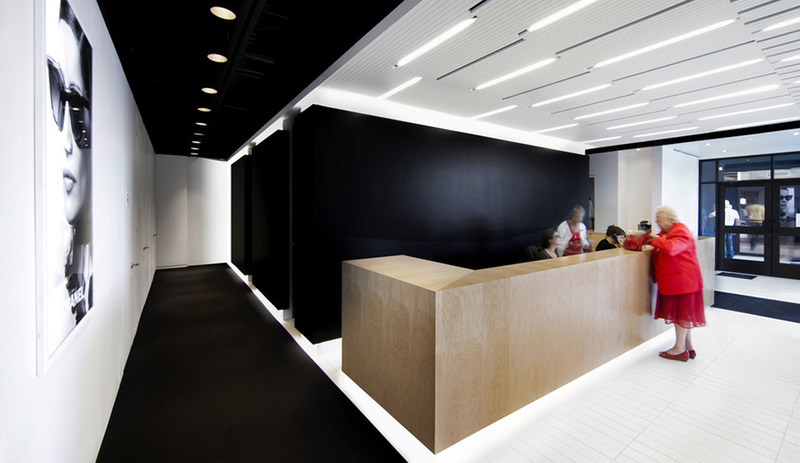 The crisp whiteness is contrasted with black carpeting and a reception and sales desk made of maple. 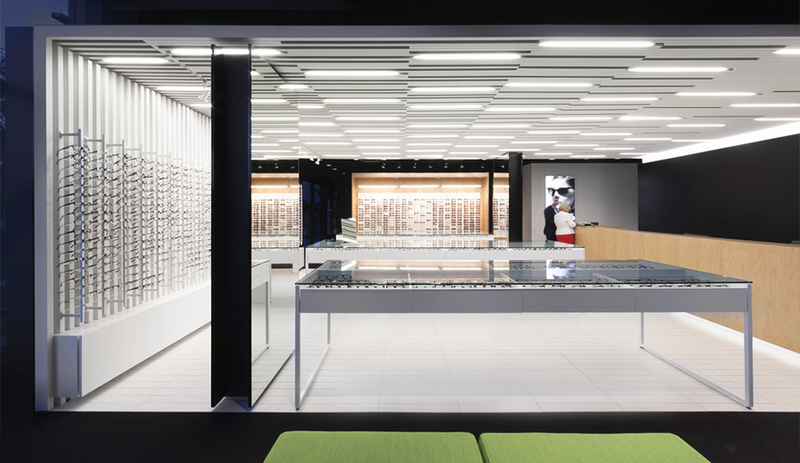 For a hit of colour, the firm used lime-green upholstery on the task chairs and sofas.